The research is in — and it's been in for a while: The nation's addiction to constant communication has led to a crisis on its roads, where behind-the-wheel texters and cell phone chatters have become the new drunk drivers. According to the National Highway Traffic Safety Administration, nearly 6,000 people died in crashes involving distracted driving in 2008. That’s why the federal government is ramping up an educational campaign against "distracted driving," reinforced by an array of new state laws against texting or talking on a cell phone while driving. Some penalize the behavior; others even criminalize it. The measures come as insurers have begun seeking ways to avoid shouldering massive liability for inattentive customers. And the families of those killed or injured have begun organizing highly visible, sometimes wrenching campaigns to battle the perception that cell phone use is a harmless part of a driver's daily routine. 16% of all traffic fatalities were caused by distracted driving. In addition, 500,000 were injured in 2008 in accidents involving some form of driver distraction, the U.S. Department of Transportation reports. Cell phone use affects a driver's reactions as much as having a blood-alcohol level of 0.08% -- the legal threshold for driving while intoxicated -- a University of Utah study has indicated. 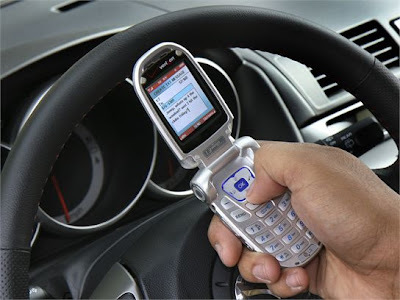 Despite the potential dangers, more than two-thirds of people in a 2009 AAA survey admitted talking on a cell phone while driving. Local jurisdictions in many states, including North Carolina, have introduced laws clamping down on distracted drivers. In all but six states, local jurisdictions can pass additional restrictions. Nineteen states and the District of Columbia have banned texting while driving outright or have enacted limited texting bans. Novice drivers are banned from texting in nine states. Six states and the District of Columbia have banned handheld cell phones for all drivers. The use of all cell phones, handheld or otherwise, by novice drivers is restricted in 21 states and the District of Columbia. The use of all cell phones while driving a school bus with passengers is prohibited in 17 states and the District of Columbia. On Tuesday, a federal law went into effect prohibiting commercial bus and truck drivers from texting while driving. The measure carries penalties of up to $2,750. The consequences of breaking cell phone driving laws vary by state. In five states, drivers can be pulled over for using a cell phone illegally without first committing another offense, such as speeding. Texting while driving is a primary offense in 17 states. In Missouri, for example, sending messages while driving is a primary offense for drivers under 21. Offenders can be fined up to $200 and get two points against their licenses. In New York or Connecticut, you can get pulled over and ticketed just for holding your phone while driving. There have been cases with more extreme consequences. A Seattle man was recently sentenced to five years in prison for vehicular homicide because he was texting while driving when he hit and killed a bicyclist. According to The Seattle Times, the prosecutor used phone records to prove the accident occurred while the driver was sending a text. Distracted-driving laws may exist, but enforcing them is problematic. Unlike speeding -- a violation police can catch with a radar gun -- it's not always easy for officers to see whether drivers are using their cell phones, especially if a driver is texting with the device in his lap. Since Missouri's law went into effect in August 2009, the Missouri Highway Patrol had issued just 13 tickets for young drivers caught texting, resulting in eight convictions, the St. Louis Post-Dispatch reported recently. A patrol spokesman says he thinks many warnings have also been issued. When a new traffic law is introduced, enforcement officials often work toward building public awareness before handing out tickets. Texting and talking while driving are also problems among teenage drivers, research shows. A National Highway Traffic Safety Administration study found that 8 percent of drivers aged 16 to 24 were observed talking on a cell phone, compared to 6 percent of 25- to 69-year-olds and 1 percent of drivers over 70. And new drivers are inherently susceptible to accidents; accident rates are highest among 16-year-old drivers. But not all teenage drivers comply with bans, and they can be difficult to enforce. An Insurance Institute for Highway safety study of North Carolina teenagers found that the percentage of teen drivers using cell phones increased after a ban went into place, even though two-thirds of teenagers surveyed said they were aware of the law.Some corporations prohibit texting while driving. Comcast, Sprint and Winston-Salem, NC based car dealership Frank Myers Auto Maxx all ban the practice among working employees. 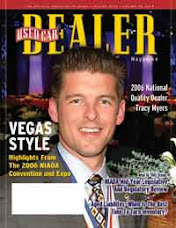 Tracy Myers, owner of Frank Myers Auto said, "The use of cell phones and texting creates distractions for all drivers especially those that are inexperienced drivers. A teen can create and send a text message in 10 to 15 seconds. Driving 60 mph covers more than 80 feet per second. One text could equal a tenth of a mile that a driver is not paying attention to their driving. Our goal is to increase the awareness of how dangerous and serious this problem is."